Hello friends! I am hoping to do a fairly lengthy series about Passive Income to help all my followers out there who are struggling financially to use their gifts and talents to make passive income online that is realistic for them and their family. 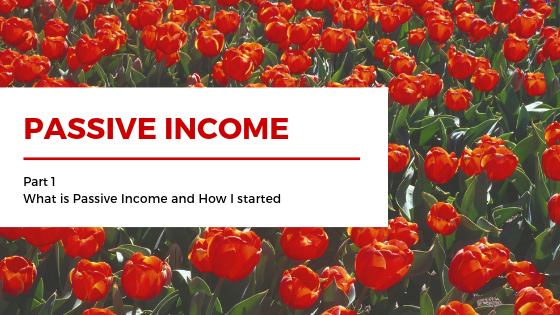 This first post will just get you brainstorming about what you could potentially do for passive income without really telling you how to do it. We will get into that a little bit later! Passive income is income that you can make without actually doing anything. Most passive income starts with investing some time, and maybe money, into a digital download product that the consumer can buy, but doesn’t require shipping, packaging, or anything after the payment is made. How I started and how you can too! It was 2015. My bills were more than my income. I was living off $1 hotdog packs, ramen noodles, and mac and cheese. My credit card bills were slowly climbing higher and higher each month. I lived in fear that something would happen to me, my rental property, my dog, or my car and that I wouldn’t be able to fix it. I kept searching the web for easy ways to add to my income. I was already working 45 hour weeks teaching 3rd grade full time and I was tutoring 4 to 6 hours a week on top of that. I teach at a Catholic school where our resources are extremely limited and so I was already purchasing and downloading free things on Teachers Pay Teachers. The more I did this, the more I kept thinking, “I should make something like this but change A, B, and C, and then sell it myself.” I made my Teachers Pay Teachers account a seller’s account which got me into the seller’s forum. I spent about 6 weeks just reading and reading and reading about selling on Teacher’s Pay Teachers. I watched Youtube videos on how to advertise and how to use Powerpoint as a graphic design tool. I made about 3 documents during this time that were and still are Freebies in my store. Having good freebies is how to hook people into knowing that what you are selling is worth paying for. I uploaded the freebies and had a couple downloads right away, but nothing staggering. Then summer break hit, and I knew this was my chance to really start making some things that would impress other teachers. The key to good teachers pay teachers documents was to have cute graphics. I found as many free commercial graphics as I could and organized them into little folders on my desktop. I went through my lesson plans from the previous year and started creating things I knew I would use in my own classroom. I uploaded about 40 documents that summer working 5 to 10 hours a day during the week on the documents. I made about $50 that summer. The next school year I continued to add but not at a rapid pace. In the first year I made about $400 and now I had 60 documents on teachers pay teachers. A lot of work and time and money for graphics was invested in that first year with not a lot of return. The return is NOW though. This past year, those same 60 documents, because I haven’t added much since then, made me nearly $3000. And I didn’t do anything. This is the payoff now, 3 years later. After some life changes and getting into Bookstagram I decided to take my new graphic design skills and open up a bookmark store that you know and love as BibliophilePrints. I used a paycheck from Teachers Pay Teachers to invest into my first few sets of Bookmarks that I listed on Etsy. I still use Powerpoint to design 90% of my stuff. I have invested in more equipment, I ship, I do have photoshop and a nice $600 camera. But the profit has been worth it. I took a learned skill and a passion and I turned it into a business. And now I am taking that business, and its following, and putting it back into passive income through downloadable journaling pages and my Society6 and Redbubble stores. What are you good at and what do you love? Do you love photography and have access to Photoshop? Maybe you could sell stock photos? Do you love social media and design? There are bloggers and marketers who love social media templates. What are your taught skills? Are you an accountant that could make editable spreadsheets for the stay at home mom and small entrepreneurs? Do you draw? You could sell digital art and upload it to sites such as redbubble and society6? You could draw clipart or graphic design elements. Do you have a teachable skill? You could write a short ebook or How To Guide and sell it online. Brainstorm what you love and what you are good at and as a librarian, I am going to tell you to do some research! See how you can apply these things online to make some money!